today (and tomorrow) is the annual flea market located at Neubaugasse in Vienna. There is a booth for everything and it's an especially good place to find vintage fashion and items. 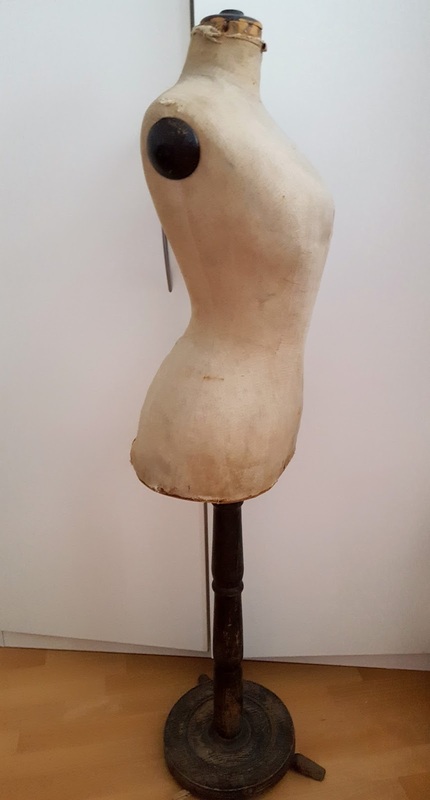 It was there when I stumbled upon this amazing mannequin/dress form from the Edwardian era. 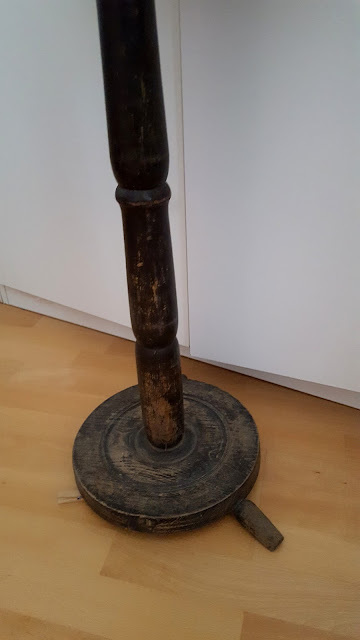 It's probably from the 1900s? The fabric is ripped a bit at the top and bottom and there is a water (?) 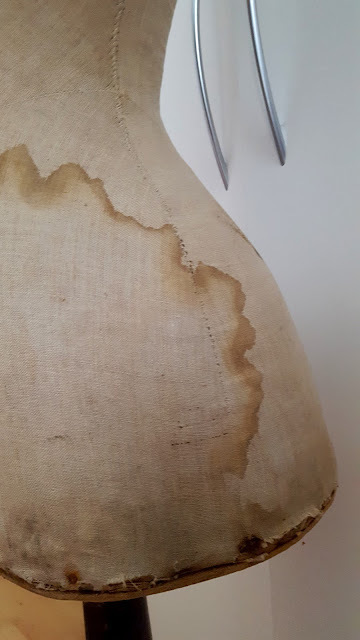 stain on the right bottom. Pictures of the front and side. 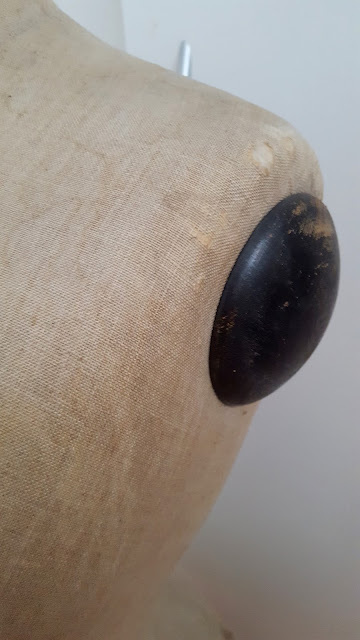 One foot of three is missing but I added a peg. Now it's perfect. 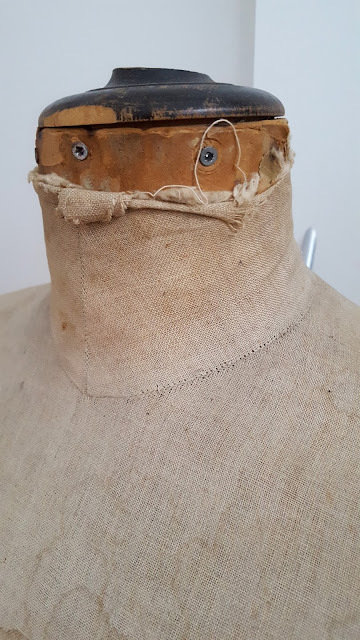 To be honest, I think the doll is in an okay condition and definitely useful for sewing edwardian corsets. 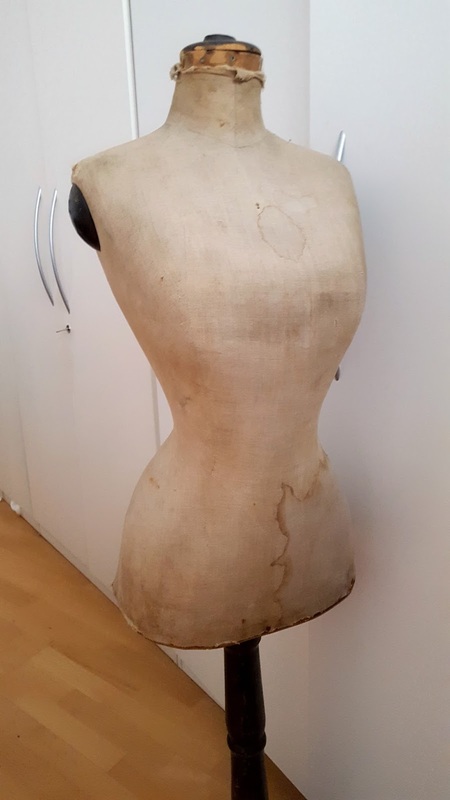 I paid 80€ for this baby and I think I made a great deal. 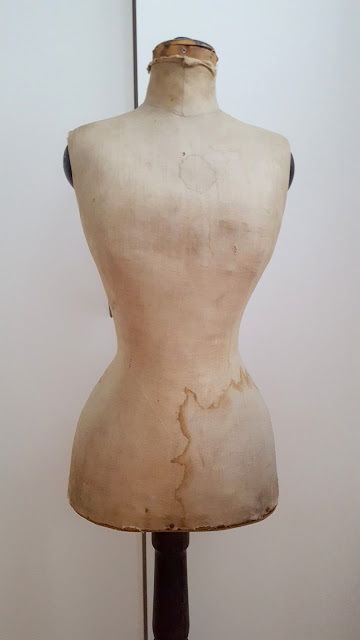 I bought my "normal" sewing mannequin for 100€. Wow, I am so jealous!